There is trouble in oil paradise. It seems that all the elements of an already explosive geopolitical concoction are getting vigorously stirred. The palace coup in Saudi Arabia, conducted by King Salman’s own son, Prince Mohammad bin Salman, on June 21, 2017, should be understood as the second salvo of a potentially hot war between two Sunni blocks: on one hand, Saudi Arabia, Egypt, the United Arab Emirates (UAE), and Bahrain; on the other hand, Qatar and its allies of circumstance, Turkey, Palestinian Hamas, the Muslim Brotherhood network, and a likely Shiite coalition with Iraq and Iran. The two blocks, quickly assembled, could enter a terrifying hot war over this new crisis, which would tear apart the entire Sunni Muslim community as well as draw in the Shiites of Iran and Iraq. 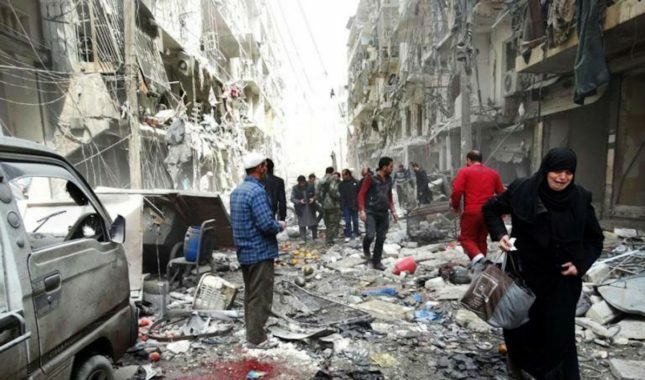 The entire region could easily become like the current-day Syria of killing fields and ruins. Prince bin Salman has assumed complete control of the Saudi kingdom’s government apparatus. This is a sign that the Saudi hardliners, vis-a-vis the crisis they created with Qatar, have won the prelude of the battle. As Saudi Arabia’s minister of defense, bin Salman was the architect of the nasty war in Yemen, which until the split between the two nations, included Qatar. What happened to the beautiful friendship between the Saudi and the Qatari rulers? 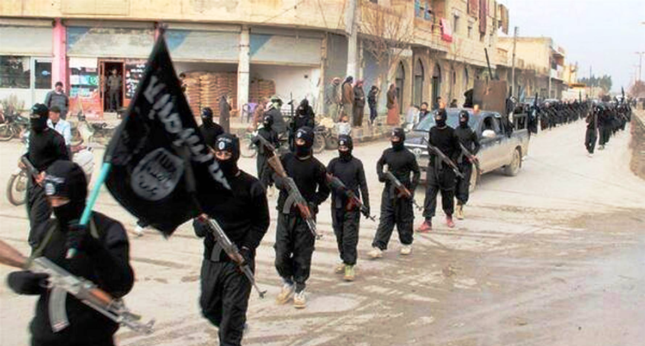 Its apex was the sponsorship of jihadists, first to topple Gaddafi in Libya, and their ultimate collaborative proxy-terrorism accomplishment was the creation of ISIS to wreck Iraq, and to topple Bashar al-Assad in Syria. Terror and war might soon come home to roost in the magical kingdom and emirates of princes and sheiks, with made-in-the-USA missiles flying over Riyadh and Doha. Can the crisis be diffused, or is it actually engineered by the United States, its Western NATO vassals and Israel? 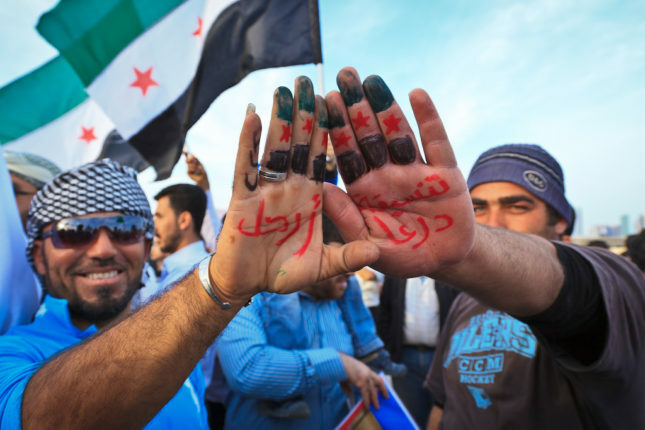 For the sake of the entire Middle East, the looming crisis must be prevented at all cost. Prince bin Salman’s coup was the second preliminary salvo, the first one occurred two weeks before that. On June 5, 2017, shortly after President Donald Trump’s flamboyant visit to Saudi Arabia, the expanding rift with the kingdom and Qatar went into full-blown crisis mode. There followed a complete suspension of all diplomatic relations with Qatar, unilaterally decided by Saudi Arabia, Egypt, the UAE, and Bahrain. 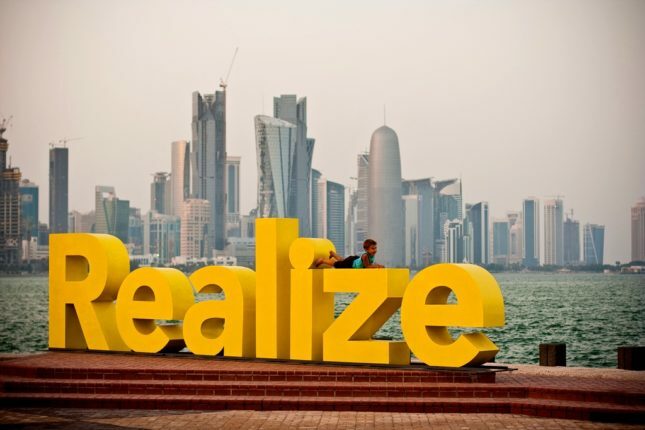 The sanctions established a ban on travel of Qataris to the three states as well as a full economic embargo for all goods and services on Qatar, which is the biggest liquid gas producer in the world. Qatari diplomats were expelled, and all land, air and sea travel routes were cut off on allegations that Qatar supports terrorist groups. 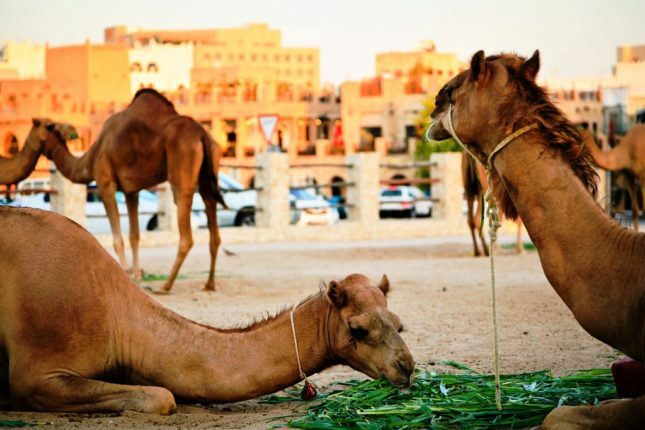 This almost immediately triggered a panic in Doha, where people feared a food shortage in supermarkets, considering that more than 40 percent of Qatar’s food supplies come by truck through its border with Saudi Arabia. US foreign policy: schizophrenia or Machiavellian demolition plan? A couple of days after Saudi Arabia cut off Qatar, President Trump aligned himself with his new regional royal best friends. He wrote on Twitter, his favorite way to communicate his stream of consciousness on policy, that he agreed with the Saudis and that Qatar should be isolated for its support of terrorism. Mr. Trump got carried away, however, and forgot two essential facts. First, Qatar provides a base for 10,000 American troops, which is the biggest US military base in the region and is of critical importance for military operations not only in Syria, but also in Afghanistan. 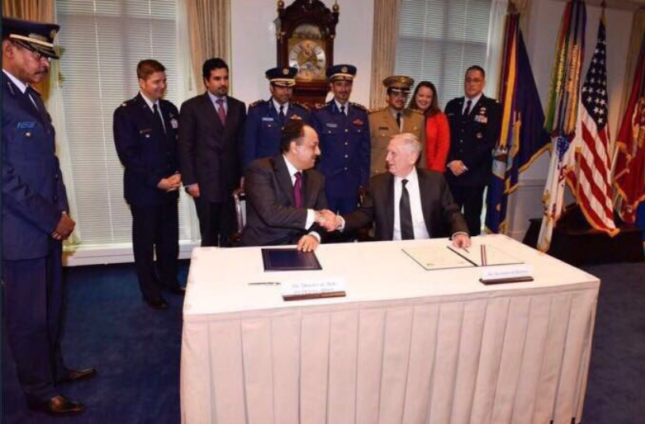 Secondly, right after Trump’s statement on the issue, on June 14, Secretary of Defense James Mattis signed an agreement with Qatar for the sale of $12 billion in weapons systems, including big-ticket items such as 36 F15 fighter jets. Therefore, by their own admission, and perhaps in a symptom of full-blown administrative schizophrenia, US officials are selling sophisticated weapons to a state that supports terrorism! 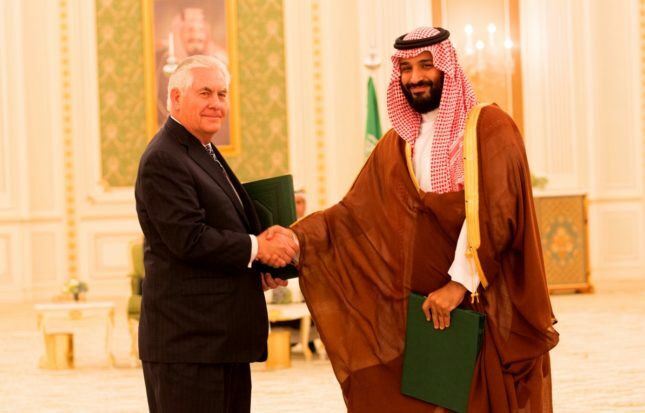 Adding his voice to the US administration’s cacophony was Secretary of State Rex Tillerson, who contradicted Trump and sternly warned Saudi Arabia to deescalate the tensions with Qatar. This new crisis, engineered or real, if nothing else, confirms that the administration’s de facto commander-in-chief is General Mattis. There is something more sinister about all this. Suppose the schizophrenic aspect of it all is just a decoy to hide a Machiavellian plan that has been the hallmark of US policy for decades: the simple divide-and-conquer imperial rule, with the distinction of arming both sides of the potential conflict. In the Middle East, this plan was started during the Reagan administration when President George Bush senior’s crew nicely fueled and fostered the Iran-Iraq war. It seems that, once again, under the mad impulse of its unchecked military-industrial complex, the US, and whatever unwise vassals might join in, is setting the stage for a huge regional conflict. The beast has an unquenchable thirst for blood and oil, and what better place to find both than in a region that is already half wrecked? In this mad logic, if one thinks of who would ultimately benefit from this additional crime of a further destruction of the Middle East, besides the war machine of the military-industrial complex, it would have to be Israel, in the context of a Greater Israel project to be built on the rubbles of the Arab world. The current war project looks like an expansion of the insanely murderous plan that has been implemented in Iraq and Syria: a tabula rasa scenario, with gargantuan sales of weapons to both sides of the conflict, which is as American as apple pie. To degrade their respective cash flows, the Saudi and UAE oil fields would become the prime targets for bombs and missiles from Qatar and their militarily powerful allies; in return, the Qatar natural gas infrastructure would be hit by the Saudi or Egyptian military. 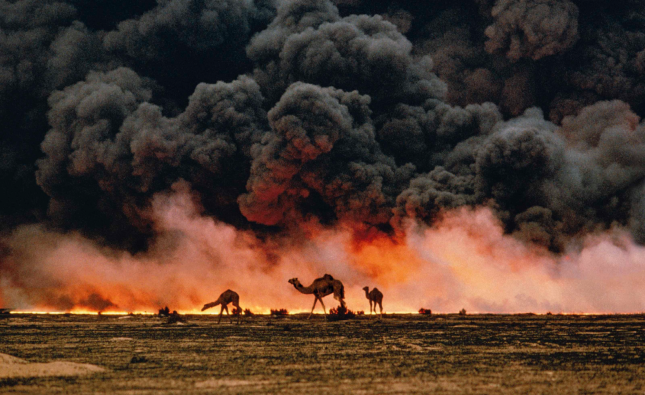 Just like during Saddam Hussein’s invasion of Kuwait, when the oil fields were hit in large numbers, a worldwide side effect of an outright war between Saudi Arabia and Qatar would be a major spike in oil and natural gas prices, which in turn could trigger a massive financial market crash. In our global Orwellian construct 2+2=5, and world order is chaos. By any name, however, chaos cannot be controlled. Editor’s Notes: This article appeared first in News Junkie Post. Photograph two from the archive of Freedom House; three from The White House archive; and six, seven and eight by Omar Chatriwala.